The ski sticks are part of the ski equipment, in all its styles, with the exception of some specialties like the jump. Originally they were born in wood, to evolve over time both in terms of technology and materials. To date, it is not the only aspect to consider when choosing sticks. 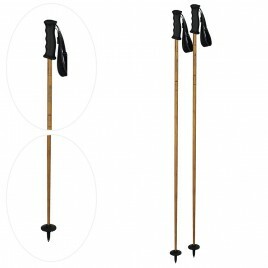 Before buying them, you need to keep in mind key aspects, such as the handle for stability and control; the length, to be held in strong consideration to have a correct posture; the tip, very important considering the adhesion on the snow. Viglietti Sport offers an extensive catalog of ski clubs of the best brands on the market and for everyone, men, women and children!